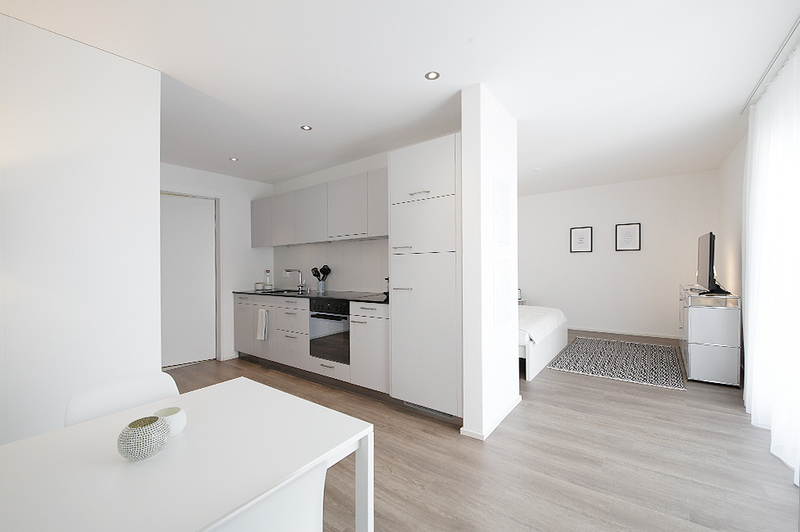 VARIAS Apartments opened another apartment on April 20, 2018 at the location Zürcherstrasse 143 in Winterthur. The comfortable apartments have proven themselves in everyday life with our guests very well. The new apartment with 36 m2 living space is very spacious and has a loggia with 4 m2. The apartments on the Zürcherstrasse have a fully equipped kitchen, spacious areas, a cloakroom and a modern bathroom with washing machine / dryer. Other apartments are in planning. New Apartment House in Winterthur-Elsau opening soon. VARIAS Apartments was founded in 2014 in Winterthur and specializes in premium quality serviced apartments. Due to the good price-performance ratio, the central locations and the premium quality equipment (USM Haller & VITRA), the VARIAS Apartments in Winterthur are unique.